were at the heart of sharing God's love. Fifty-nine percent of disaster survivors wish to receive spiritual support or prayer from a clergy member or religious counselor. Our clergy members are often some of the first people to arrive at the scene of a disaster and are prepared to offer those in crisis the spiritual sustenance they need. We aspire to be a lamp to the feet and a light to the path of all those who are suffering and in need of help and hope. The Salvation Army is an evangelical part of the universal Christian Church. Our message is based on the Bible, our ministry is motivated by the love of God, and our mission is to preach the gospel of Jesus Christ as we meet human needs in His name without discrimination. Every program we offer is rooted in our passion to serve God by serving the lost, the vulnerable, the poor, the hurting, the helpless and the hopeless. Jesus said, "Where two or three gather in my name, there am I with them" (Matthew 18:20). Community is at the heart of Christianity, which is why we offer weekly worship services as an opportunity to gather together to give thanks to God and to offer comfort to one another. Find a worship center near you. Men's and women's ministry groups, Bible study, character building and Sunday school are opportunities for people of all walks of life to come together in community to explore the Word of God, support one another and grow in their faith. Programs for children and teens include Junior Soldiers, Corps Cadets and SONday's Cool, which are held at Salvation Army worship centers in Nebraska, South Dakota and western Iowa. Find a worship center near you. Various regional and national events occur throughout the year for women and youth involved in Salvation Army worship, programs or services. 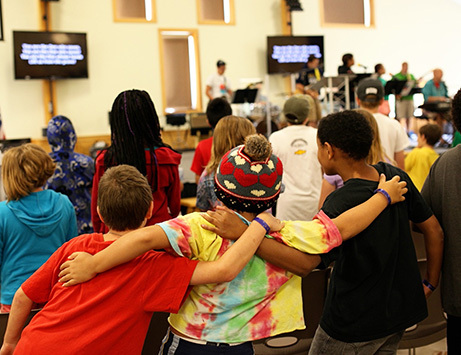 Youth Revolution, Youth Councils, Corps Cadet Retreats, Junior Soldier Rallies, Character Building Rallies and Young Adult Retreats offer opportunities for weekend retreats and events designed to bring young people together for a time of worship, fellowship and fun. In addition to weekly meetings at worship centers, women of all ages and interests gather for Women's Ministries events, including Women's Rallies and Camps, Women's Sunday, and the Annual Women's Ministries Meeting, for activities, fellowship, education, music and more. 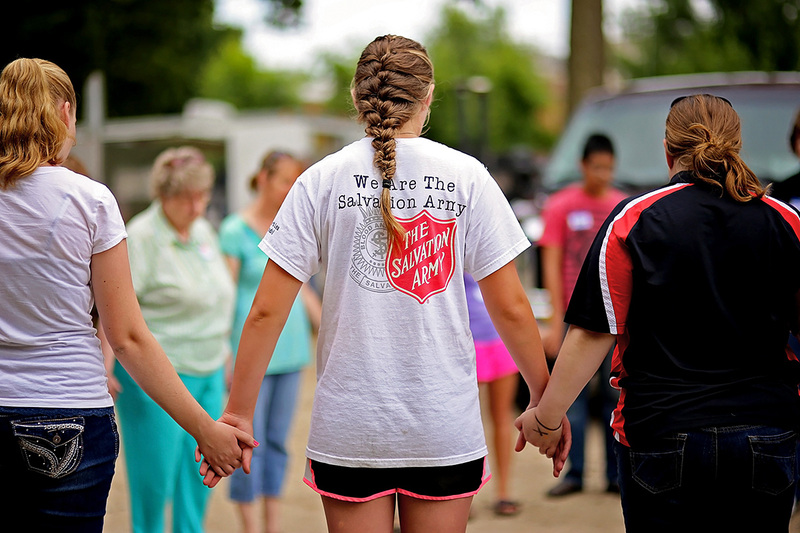 When you give to The Salvation Army, you support the clergy who come alongside those who are grieving and struggling to recover from a disaster. Knowing God's love can change a person's perspective on everything.